RVMBA joins IMBA Local - Website of RVMBA! 2019 brings RVMBA's partnership with the International Mountain Bike Association (IMBA) as an IMBA Chapter through the IMBA Local program. This partnership gives RVMBA 501c3 non-profit status for greater access to grants and charitable giving to support current and future trail projects. Currently, all of the details are being finalized. 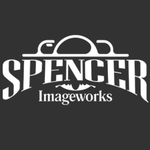 Look for more updates very soon! 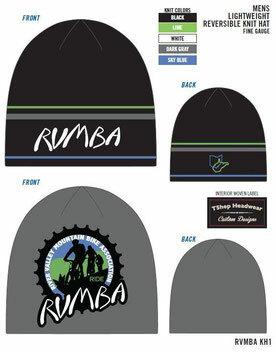 We have these sweet RVMBA reversible beanies available for sale at Marietta Adventure Company! Just $10 for members and $20 for non-members. Stop in and pick some up! We also have membership forms to fill out at the shop. Join an awesome group, get a sweet beanie and save! 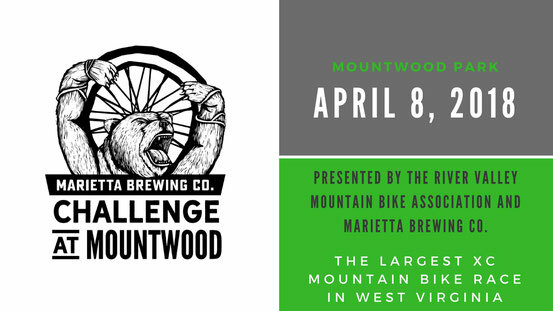 Challenge at Mountwood Race planned for April 7, 2019! Mark it in your calendars! Crazy to think we're less than 90 days away before we're shreddin' and getting gnarly at Mountwood Park for the 24th annual The Challenge at Mountwood presented by Marietta Brewing Co.and the River Valley Mountain Bike Association! If your organization is interested in supporting this event, which supports our regional trail efforts, please click on the link below. Thank you! Come on out to Gunlock Park for our annual Take-A-Kid Mountain Biking Day! The event is free, and there will be prizes and pizza for all participating riders! The area's first machine-build, flow trail at Mountwood Park is now open for use! Funded by a grant from Mckee Foods through their Outdoor Happiness Movement, the Pump House Trail offers a new flavor of trail to the park with bermed turns, bridges and other features to keep you on your toes! The Marietta Pub Ride starts this month! Pub rides are held the last Monday of the month May-October. Meet in the city parking lot on the corner of 2nd and Butler Street (behind CVS) in downtown Marietta. The ride departs at 6pm on Monday May 28th. Plan for a 15 mile ride with bailout options. Helmets Required. As per tradition, we'll meet at Marietta Brewing Company for apre' bike food and drinks! 2018 Challenge at Mountwood April 8th! Presented by the River Valley Mountain Bike Association and Marietta Brewing Co. The largest XC mountain bike race in West Virginia returns for the 23rd time on April 8, 2018 at Mountwood Park. This is race #2 in the WVMBA and #1 OMBC XC series (dual points!). Race day registration will be available for $35 (plus WVMBA fees) starting at 9:00 a.m., but why wait in line! NEW FOR 2018: WVMBA has teamed with USAC. The one-day membership will be the same as last year ($10) but $5 will go towards your one-day WVMBA membership and $5 to your one-day USAC membership. If you are a current USAC member, you will only pay $5 for your one-day WVMBA membership. Just provide your USAC license number. The RVMBA annual membership party will be held Friday 4/13 at 6:30pm at the Marietta Brewing Company. Marietta escaped the potential flood, but the party had to be postponed. So the Friday after the Mountwood race, come on down to the Marietta Brewing Company to join together with fellow RVMBA members for a SPRING social and re-cap of 2017. There are also exciting BIG things happening in 2018, and we look forward to sharing the news! Hearty appetizers provided by the club, cash bar available. Enjoy music by AudioExtreme DJ. Plan to renew your membership for 2018 and pick up a fresh RVMBA sticker! Please invite potential new members, and you may bring a guest. New members are welcome. Membership is $15 for individuals and $20 for families. On January 25, the Wayne National Forest hosted a recognition event to thank all of the partners and individuals who volunteered on the Athens Ranger District’s Athens and Marietta Units in 2017. The Forest was fortunate enough to have worked with 480 volunteers, accumulating 30,360 hours. This amounts to $715,000 worth of work completed by partners and volunteers! Ryan Smith and Bill Lane of the River Valley Mountain Bike Association were on hand to accept recognition awards on behalf of RVMBA and it's amazing volunteers! Read more below. 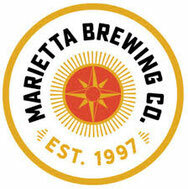 Marietta Brewing Company hosts it's monthly Community Pints program to raise funds for area non-profit organizations. RVMBA was one of the Community Pints featured organizations in 2017 and was presented a donation of $380. Marietta Brewing Company is always a strong advocate for our community including local mountain biking opportunities! Stop by the brewery and tell them "Thanks!" Follow the link below to a great article from Pink Bike featuring hot spots in the West Virginia riding scene, including our own Mountwood Park and the Mid-Ohio Valley! Formation of RVMBA Trail Planning Committee! Following November's monthly club meeting, the first official meeting of the RVMBA Trail Planning Committee (TPC) will take place. The purpose of this committee is to discuss and offer guidance on current RVMBA trail building projects as well as identify and formalize future trail projects. The TPC will also set project timelines and schedule construction and maintenance work days. Check out the new "Current & Future Trail Projects" section on our website, to get a taste of what's to come! Trail Planning Committee meetings are open to anyone with an interest in trail maintenance, trail building and working with land managers/owners. The next RVMBA club meeting is November 9th @ 6:15pm at Marietta Adventure Company. The Trail Planning Committee will meet @ 7:30pm following the club meeting.